As part of its Blogger Roundtable program, DoD offered journalists access to three Army UAS operators to discuss their work. Two were UAS Shadow operators, while another worked on Raven. The operators discussed their training and how they got into the Army's UAS programs. Possible R&D Area One of the operators mentioned additional challenges faced by UAS controllers when coordinating air with ground robotics operations. SUAS (small UAS) and ground robotics are an emerging area where stateside tests are still ongoing. According to this operator, line of sight is currently only 300 ft with the ground robots; a larger range, say to 1000 ft, would be helpful to operators and ground personnel. The main application discussed for these UAS systems was reconnaissance. Baseline training for the Shadow is approximately 7 months, though only "a couple of weeks" is reportedly needed for basic usage. On the other hand, one of the trainers on hand said that the XBox generation is extremely adept at learning how to operate Raven, Puma or Wasp. Trainees find that it's "the best video game in the world," said a trainer. The trainer went on to say that it's not so much the damage inflicted by this or other classes of UAS, but rather the value of information they provide, especially in support of ground operations. 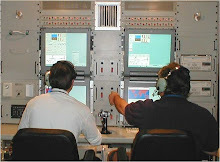 The Shadow requires two operators and a mission liaison (camera + pilot + mission liaison), whereas the portable Raven requires only a laptop-equipped soldier. Some of items on soldier wishlists include longer battery life, shortages of UAS inventory and operators. Best uses? To discover IEDs and IED-placement activities, route clearance, support for special operations, added situational awareness for the brigade commander for operations in progress. One operator noted that the Ravens can fly in at building-top level and begin surveillance, which can serve as a deterrent to some adversary operations. Each brigade has only one Shadow system. 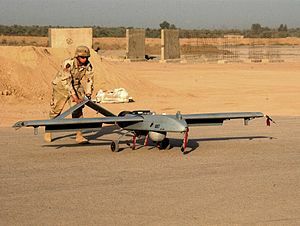 The Army's complete UAS inventory, in order of size, includes Gray Eagle, Hunter, Shadow, Puma, Raven, Wasp. 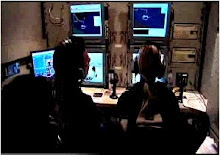 Information more than bullets In response to a reporter's question about possible moral issues with UAS warfare-at-a-distance, the operators reminded the press that typically the UAS is used for information gathering. Many are not weaponized; in the course of their careers, some operators will never touch a weaponized UAS. On the other hand, as one operator said, the presence of UAS in the battlefield has meant that tactics are constantly evolving. For some soldiers on the ground, these operators believe, the sound of a noisy Shadow overhead is a comfortable presence.